Ensuring all residents get the support they need. The St. Louis Arc’s residential community is located in Creve Coeur, Missouri, near the intersection of Olive and Craig Roads. Support is provided through 24-hour staffing. These services are designed to meet the needs of older adults with disabilities by providing trained staff, community activities, and on-site nursing care. As this group continues to age, it is imperative to work together and develop a community that is proactive to the changing needs of the residents. Like most retirees, our residents choose to live a slower paced life style; however they still focus on being healthy, maintaining social relationships, and being active participants in their community. 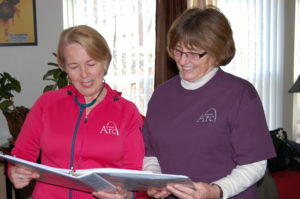 The St. Louis Arc offers ongoing staff training and education to meet the health and safety needs of residents. Staff are also trained to assess their residents to identify the wants and needs of each individual. 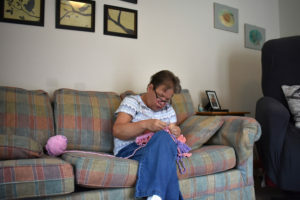 Every resident has unique needs and the St. Louis Arc knows the value in adapting and tailoring staff training to meet the needs of each individual and each home environment. While opportunities exist for private pay services, most people who receive residential services secure funding through the Department of Mental Health Medicaid Waiver Program. The first step to receiving residential services is to contact the St. Louis Regional Office. A Regional Office support coordinator will work with you and your family to obtain funding and to research and select a service provider that can meet your needs. Once funding is secured and your referral is activated, the St. Louis Arc’s Residential Services staff will work with you to better understand the services offered and get acquainted. If it is a good opportunity for all and you choose to accept the services offered by the St. Louis Arc, we will work with you and your Regional Office support coordinator to plan the transition to your new service and supports.